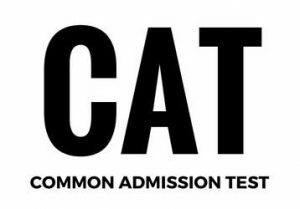 Common Admission Test (CAT) is a national-level management entrance examination conducted by the Indian Institutes of Management (IIM). Apart from 20 IIMs, CAT scores are used for admission to various management institutes across the country. The candidate must possess a Bachelor’s Degree with at least 50% marks or equivalent CGPA (45% for SC, ST, and PWD/DA category). Percentage obtained in bachelor’s degree would be calculated by practice followed by the concerned university/institution. In the case of grades/CGPA, the conversion would be based on the process defined by the concerned university/ institution. degree/equivalent qualification are also eligible to apply for CAT. The CAT 2017 is India’s top management entrance exam and it is a gateway to 20 IIMs and over 8000 other business schools in India. The CAT 2017 exam was held in two sessions on Nov 26, 2017. The first session was held from 10 am to 1 pm and the second session will be held from 2 pm to 5 pm. The question paper of CAT 2017 first slot consisted of 100 questions. There were 34 Quantitative Ability (QA) questions, 34 Verbal Ability & Reading Comprehension (VARC) questions and 32 Data Interpretation and Logical Reasoning questions (DILR). In the QA section of the first slot of CAT 2017, there were 11 MCQs with more arithmetic questions, while in DILR section was equally divided between DI and LR questions. 16 questions were on DI and 16 on LR. There were 8 MCQs out of 32 questions in this section. The difficulty level in DILR section was high while in QA section it can be termed as easy. The VARC section in the first slot of CAT 2017 was of moderate difficulty with 24 questions on RC (5 passages). 10 questions were from grammar out of which 7 were non-MCQs. The second slot of CAT 2017 was more relaxed than the first one. The questions focused more on basics and were on the same lines as slot one, i.e. the same break up regarding MCQs and non-MCQs. DILR section in the second slot was slightly more comfortable than the first slot but was lengthy and time taking. The difficulty level of QA and VARC section was the same as slot 1. There were total 34 questions out of which 24 were on RC (5 passages). Rest of the 10 questions were from VA, out of which 7 were non-MCQs. The para summary questions were MCQs with negative marking. In the VA section, para jumbles were somewhat time-consuming, while rest were doable. Like the first slot, DI-LR in slot 2 had 32 questions as well. 16 questions were of DI and 16 of LR, with 12 MCQs and 4 non-MCQs in both sets. The difficulty level in this section was higher in slot 2 as compared to slot 1. The Quantitative Ability section in slot 2 of CAT 2017 was of easy to moderate difficulty with more questions from Arithmetic. Out of 34 questions, 11 were non-MCQs. The questions ranged from topics like Arithmetic, Geometry, Mensuration, Algebra to Series & Sequence, Modulus, Number System etc.